Known to be one of the last surviving covered bridges in the state, TGS had the privilege of contributing to the restoration of this historic structure. 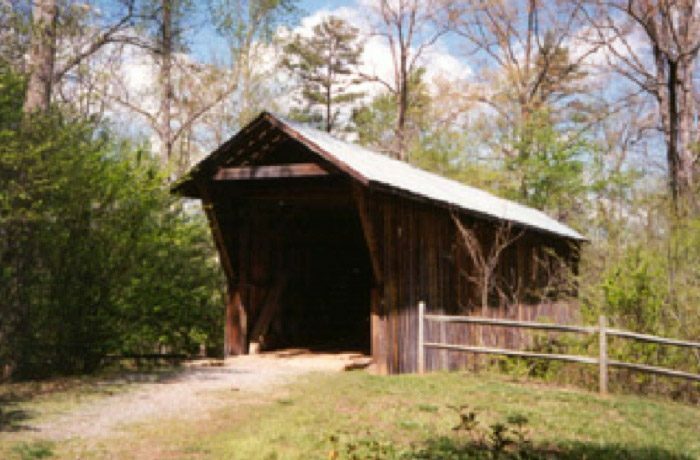 TGS is currently serving Catawba County and the County’s Historical Association on the rehabilitation of this historic wooden covered bridge in need of slope and foundation repair as well as lighting and security improvements. Tasks included preparation of the NEPA document for the proposed improvements, planning and design for fire suppression and drainage design. It also involved extensive coordination with the NC Department of Natural and Cultural Resources – State Historic Preservation Office.